Waxman said tests for electronic defects by the Exponent consulting firm hired by Toyota are controlled by the automaker's trial lawyers; Republicans criticized Waxman for calling the hearing before Exponent's tests were finished. WASHINGTON -- Toyota Motor Corp. has failed to conduct impartial investigations of possible electronic defects in its vehicles because it is more interested in defending against lawsuits than in identifying the causes of unintended acceleration, a senior lawmaker said. Rep. Henry Waxman, chairman of the House Energy and Commerce Committee, said today that the findings of a staff inquiry undermine repeated assertions by Toyota executives that their tests show no electronic links to speed-control difficulties. Waxman, D-Calif., said tests for electronic defects by the Exponent consulting firm hired by Toyota are controlled by the automaker's trial lawyers. The December contract between Toyota and Exponent makes clear that the firm's research is intended to assist the automaker in defending against class action suits, the lawmaker said. Committee investigators' interview of Exponent senior engineer Shukri Souri showed that the firm has no written work plan for the study, no written time line, and no written specifications for the experiments, Waxman said. Another Exponent engineer consulted by the committee said the firm doesn't write anything down to avoid creating documents that might have to be produced in lawsuits, Waxman said. This unnamed engineer called this “absolutely bad practice” as a matter of science, according to the lawmaker. 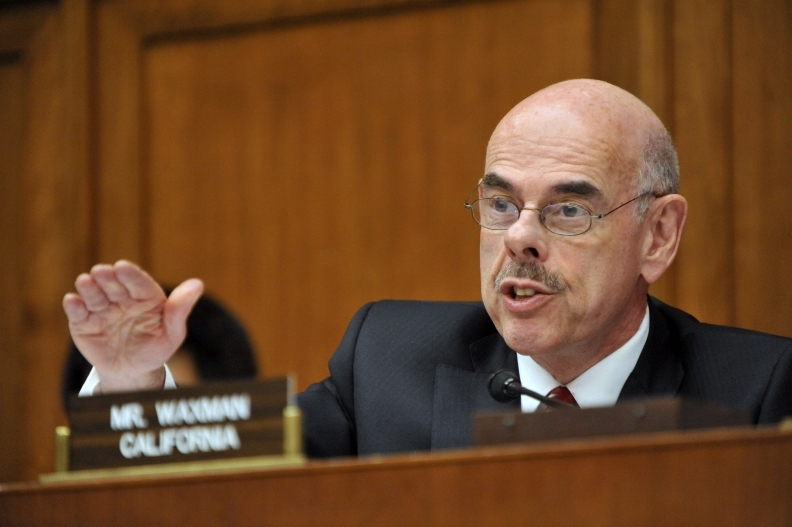 Waxman also criticized Toyota's own testing of its vehicles for possible electronic defects. He said the company's internal testing is limited to premarket engineering reviews done during the design phase of vehicle production, with no studies of defects reported after manufacturing is complete. The Toyota studies are done on prototypes rather than actual vehicles, and the sample size is small, sometimes limited to a single vehicle, the lawmaker said. The House committee's staff has interviewed Toyota and Exponent engineers, and reviewed more than 100,000 pages of documents from Toyota and federal regulators, Waxman said. Exponent has been paid $3.3 million by Toyota for the 11,000 hours of electronics research since December, said Rep. Bruce Braley, D-Iowa, citing internal Toyota documents. The consultants have been paid another $11 million by Toyota since 1990, he said. Toyota executives, including President Akio Toyoda, have repeatedly told Congress that unintended acceleration problems that have led to worldwide recalls of more than 8 million vehicles were not caused by faulty electronic sensors. The executives have attributed the problems to floor mat entrapment and sticky gas pedals. Lentz repeated this stance today. He added that Steve St. Angelo, Toyota's chief quality officer for North America, wrote a letter this week to Exponent. St. Angelo added in the letter that Toyota intends to publish Exponent's findings whatever the conclusions, Lentz said. No date was given for completion of the study. Exponent has already completed 11,000 hours of testing of Toyota's electronic throttle control system, he said. Lentz acknowledged that Exponent has been reporting to Toyota's product-liability attorneys. He said, though, that starting this week, Exponent will report to St. Angelo. "He is going to demand we have a work process with Exponent going forward," Lentz said. Federal regulators are investigating reports of 52 deaths due to speed-control problems in Toyota since the automaker introduced electronic throttle-control systems in 2002 model vehicles. Republican lawmakers criticized Waxman and other Democrats on the panel for convening a hearing before Exponent has completed its testing.